Keukenhof is a magical place to be during the Spring time: the flowers are blooming and there is color everywhere. Keukenhof is not just a place for garden lovers, but a place to admire and appreciate the beauty that is Netherlands. This beautiful garden is a simple 45 minute bus ride from Amsterdam and worth a visit. Keukenhof is one of the world’s largest flower garden and is located in Lisse, Netherlands. It’s difficult to predict when to visit Keukenhof because weather plays a strong factor. I visited in March and only some of the flowers were fully bloomed. I would recommend visiting mid-April when Spring is in full gear. In 2018, Keukenhof is open from March 22nd to May 13th from 08:00am – 7:30pm. Keukenhof can be reached by car, bus, and tours. If you are heading there by car, parking is €6. There should be ample of parking in the lot. The most popular way is taking the non-stop bus from Amsterdam Airport Schiphol to Keukenhof. You will be taking the Keukenhof Express bus #858 which is located outside of the airport past Arrivals 3 and 4 (If you see arrivals 1 and 2, you’re heading the wrong way). There will be a large Keukenhof sign that you cannot miss. You can purchase your ticket at the bus stop. I recommend purchasing the Combi Ticket which grants you access to the bus and the gardens for €24.50. As mentioned earlier, the bus takes about 35 to 45 minutes and drops you right in front of the Keukenhof entrance. There are several tours from Amsterdam to Keukenhof to choose from. Tours can cost upward of €50 to €100. I do not recommend going this route because there are tons of places to see and you will want to branch out on your own. If you intend on traveling alone to Amsterdam and want peace of mind during your stay, this is your best option. Lots and Lots of flowers is what you should expect. The plants are aligned in different formations and surrounding beautiful lakes and statues. I spent about a good 3 hours walking around the different sections in Keukenhof. There are several cafes located throughout the garden. I went to a cafeteria like restaurant and selected a local dish, a dutch pie, and a drink. There are also several carts located throughout the garden that serve fresh stroopwafels and crepes. In my opinion, the Dutch have the best desserts. There is a stage in Keukenhof where performers entertain guests with traditional songs and dance. This is the best place to sit on the grass and enjoy a light bite. 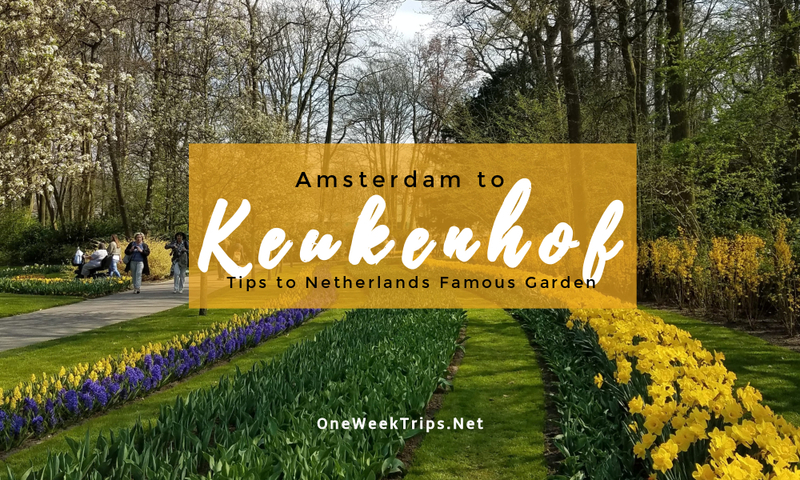 Will you be including Keukenhof on your next trip to Amsterdam?